The perfect birthday gift to commemorate the day. 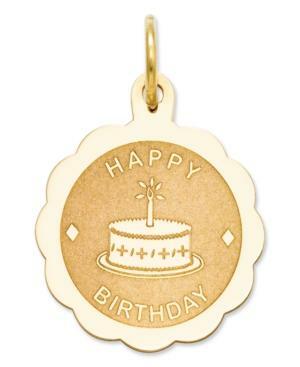 This sweet charm features the words Happy Birthday in polished and satin 14k gold. Chain not included. Approximate length: 4/5 inch. Approximate width: 1/2 inch.